Looking out onto the picturesque Wicklow mountains, this home is utterly breathtaking. 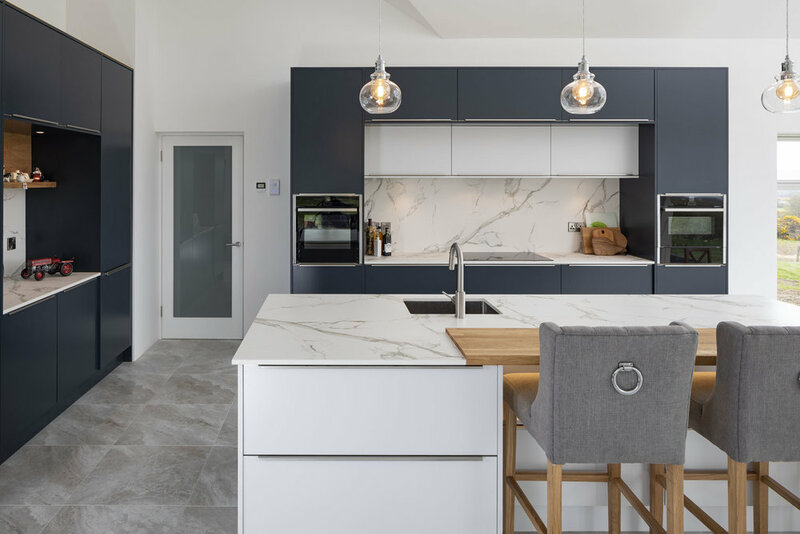 The mix of the modern simplistic lines of the kitchen and the natural country surroundings works astonishingly well with the marble effect worktops. We couldn’t be happier with the end result. 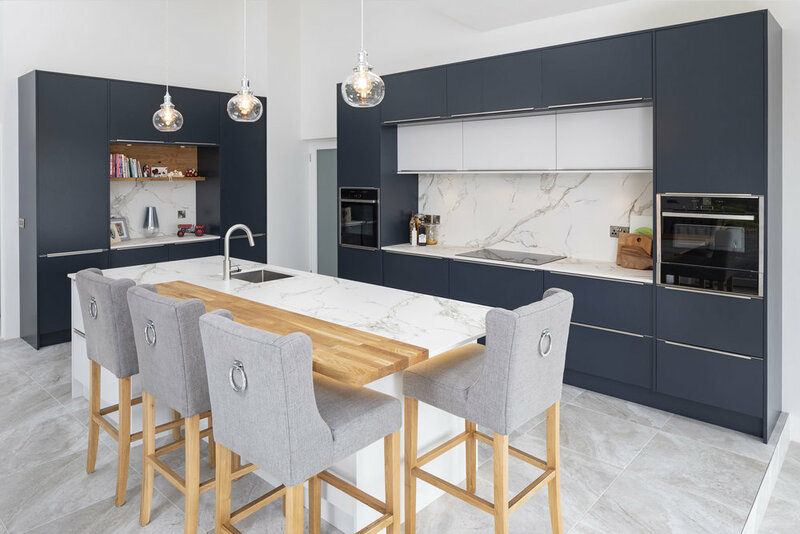 For this project, the client chose a worktop by Dekton called Aura. Dekton is an ultra compact surface, composed by porcelain, glass and quartz. The trend of marble effect colours has invaded the world of design and architecture and, Dekton, has created a truly magnificent manmade match with ‘Aura, ’ inspired by Calacatta and Carrara marble.